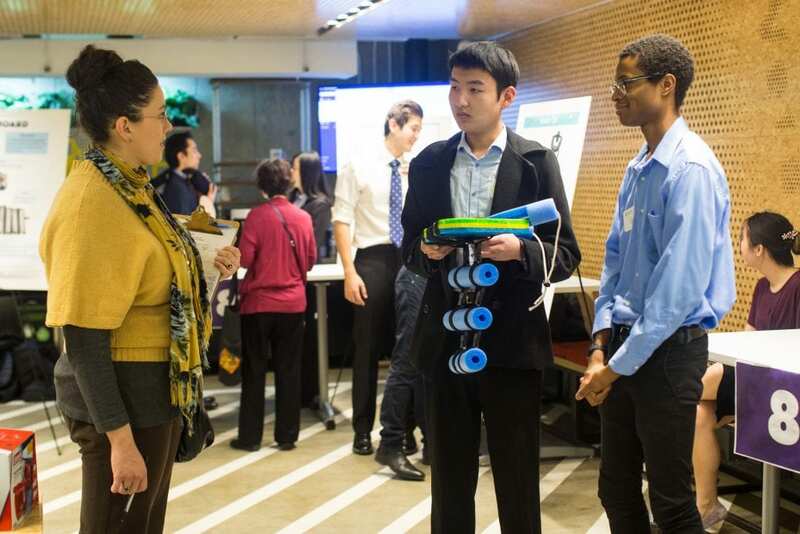 Northwestern engineering students are solving real-world problems through ingenuity, imagination, and iteration— and now we are stepping up the ways we improve their research skills while taking their required Design Thinking and Communication coursework. All first-year engineering students take a two-quarter DTC course, in which they solve design challenges submitted by real-world clients. 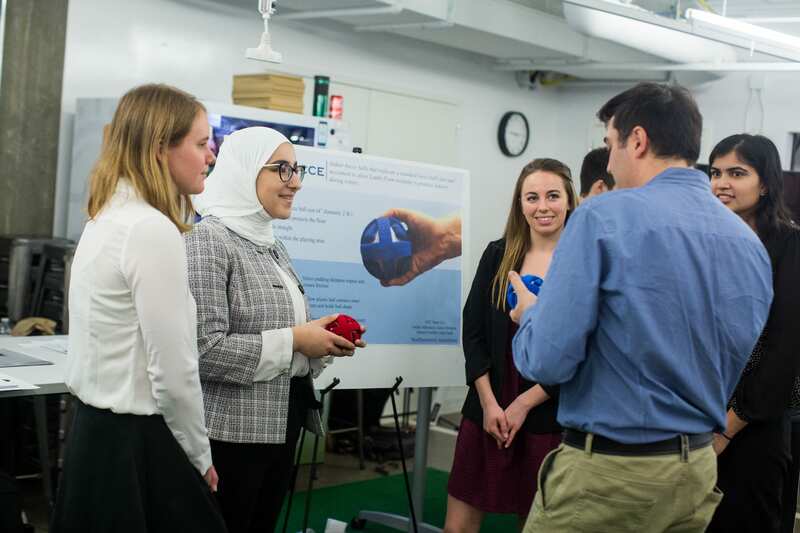 Their solutions take the shape of everything from toys that assist toddlers born without arms to specialized cups for people who have trouble swallowing. The road to those solutions begins with a literature review. Librarians are adept at selecting appropriate databases that explore how the problem has been addressed in the past (if at all). The information available to a researcher is so vast it can seem intimidating; a librarian can make it feel manageable. We have worked with DTC students and faculty this way for years, and in that time we’ve honed our approach. We developed a research guide that consolidates all our resources and advice for getting students started on a DTC project. This includes key databases broken down by research topic, with a special emphasis on medical devices since so many DTC projects cross into that realm. The Pool Loop helps children with conditions that prevent them from holding up their heads as they swim on their stomachs. For example, I recently worked with a student doing client work relating to a hemipelvectomy, a full leg amputation. As this student looked for a basic understanding of the procedure and its effects on the body, he reached out to me saying, “I’m a little overwhelmed with all the databases and books available through the library.” Librarians love that challenge. I helped him find resources that got his arms around the topic. Some resources were easy to find using NUsearch, our general catalog, but others came from PubMed, which searches abstracts from biomedical journals and can be found on the Medical Devices tab of the DTC guide. I did suggest that he figure out whether the amputation was necessitated by a disease or a traumatic event like combat, since that information could affect his research path. As a result of our interaction, he better understood how to do research and use services like interlibrary loans to access articles that we don’t have in the collection. We have also simplified the way students and faculty can find DTC-specific resources by having them embedded directly in Canvas, our course management system. Students are already frequent users of the interface, so having our research guide and how-to videos easily discoverable there increases the chances that a student will get the assistance they need. And of course, we have many librarians here—like yours truly—who are available for face-to-face support of this important work. Whether it’s one-on-one meetings with students or classroom instruction at the beginning of the quarter, our librarians are trained to help the Northwestern community navigate the wealth of our resources. With these efforts, we hope to reach every DTC student and faculty member so their research skills match their mastery of their design thinking and communication skills.